The first study believed to be conducted during a planned burning season will examine the health impacts of smoke pollution in regional communities across Victoria. Lead researcher Dr Martine Dennekamp, from Monash University’s Department of Epidemiology and Preventive Medicine, said the study was currently calling for participants from the Yarra Valley region, in particular people living in the Warburton area, to take part in the study during planned burns this month. “Australia is at increasing risk from bushfires, and planned burning is essential to bushfire management. With increased levels of smoke, it’s important to understand how exposure to smoke might affect communities,” Dr Dennekamp said. 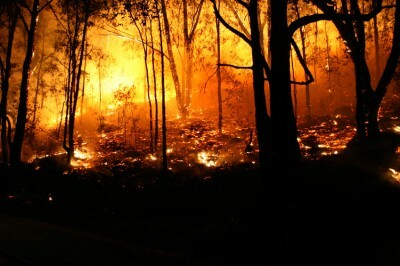 The study will provide scope for larger clinical studies into the health impacts of bushfire smoke and inform the development of public health planning and intervention strategies. “Most studies into the effects of bushfire smoke tend to focus on assessing hospital admissions or emergency presentations alone, but this limits the amount of information about health impacts,” Dr Dennekamp said. The study will be conducted by Monash University, University of Tasmania and CSIRO during the Autumn season in collaboration with the Victorian Department of Sustainability and Environment, the Bushfire Cooperative Research Centre and the Victorian Department of Health and the Environment Protection Authority. The research is funded by the Victorian Department of Sustainability and Environment through the Bushfire CRC. Those wanting more information or to participate in the study should call 1800 200 262 or email bushfires@monash.edu.